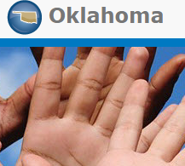 Information About the Legal System | Welcome to Legal Aid Services of Oklahoma's guide to free legal help in Oklahoma. Courthouse Closings - How Can They Affect Your Court Case? Should You Go to Small Claims Court?